Is your family in need of a summer holiday? We are giving you a chance to win a family holiday with us! The package is for a family of 4 (2 Adults and 2 Children; up to age 14) from Monday 29th July – Friday 2nd August 2019 and includes 4 Nights Half Board Accommodation staying in a newly refurbished Beach House Bedroom. We also have 3 FREE UPGRADES to Beach House rooms up for grabs too – worth over £100 on a 5 Night Stay! All you have to do is “Like” and “Share” our pinned post over on Facebook and answer the following question in the comments section to be in with a chance of winning this fantastic prize! The winner will be announced on 3rd May! Good Luck! Head over to our Facebook Page here! Hotel Sheraton is the place for families! 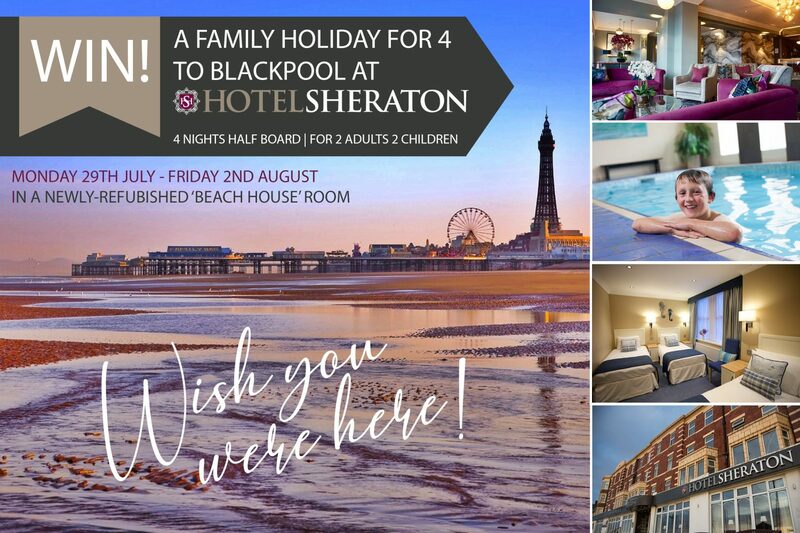 We’re the perfect base for your next holiday to Blackpool; and we’re loved by adults & children alike! Kids Cinema Club every evening on Family Funtime breaks with free sweets!